Cable has 13w3 Male connector on One side and High Density 15 Male Connector on other. This Cable has switch setting to setup for assorted types. Used to connect some high end monitors to video Cards. 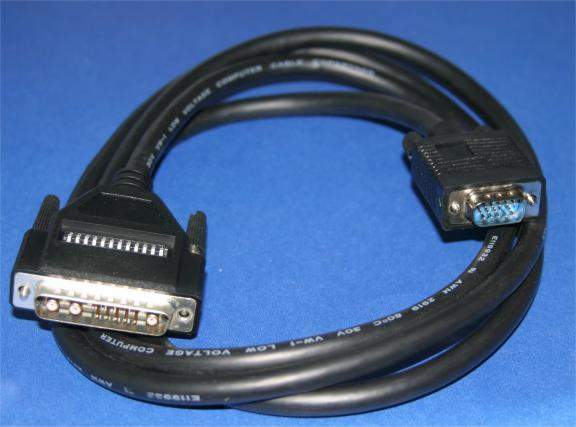 Used to Connect high end Sun/SGI/IBM Power PC Systems to Multisync Monitors.